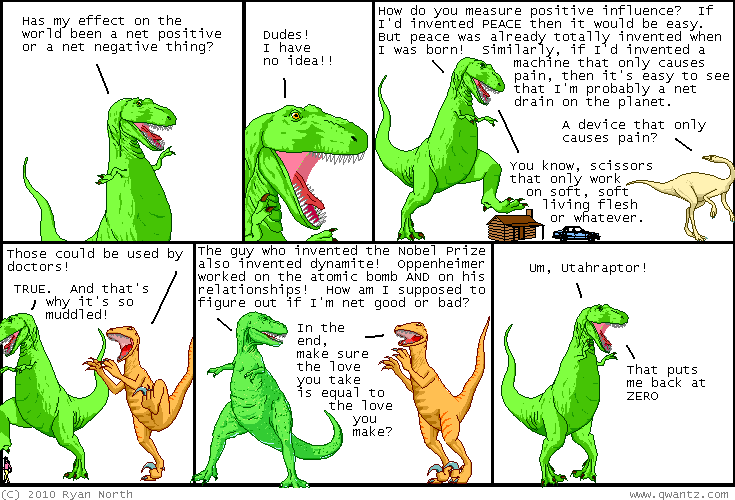 Dinosaur Comics - February 24th, 2010 - awesome fun times! –Well, T-Rex, I don't know! February 24th, 2010: I forgot to mention with yesterday's comic, but if you pay me a reasonable bribe, I will totally send you an awesome t-shirt! One year ago today: hey, all the bill petersons out there in the world who read my comic and who are coming to terms with their lives! assuming you exist, big ups! !